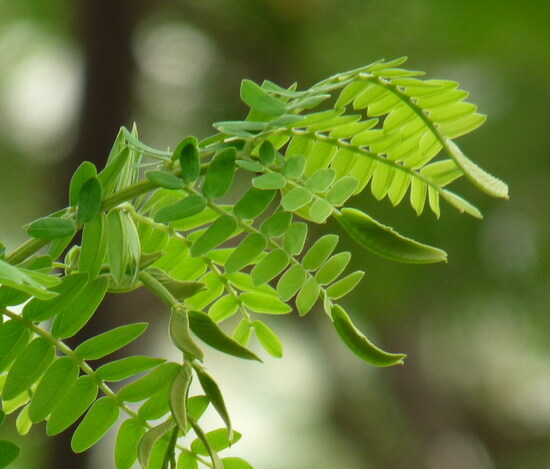 You can simply distinguish simple leaves and pinnate by looking at their bud position. Take a pinna which has a total of 10 leaflets as an example. 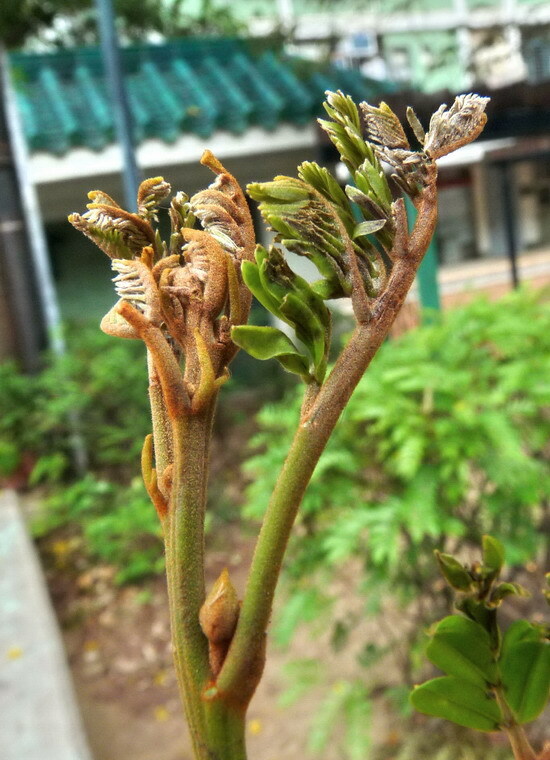 If it is a pinnate, then there is only one bud. 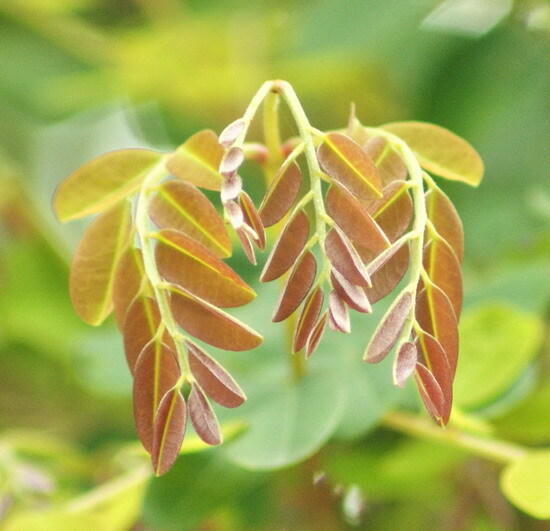 If it is a simple leaf, then there are 10 buds. 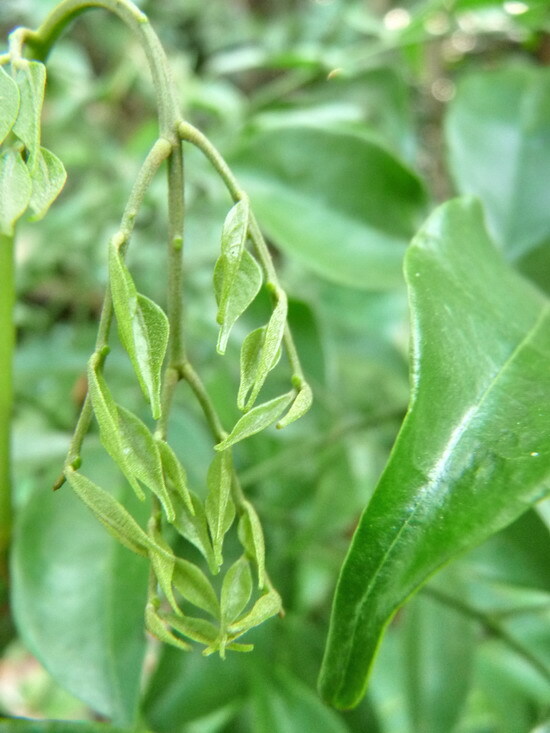 To determine the buds, of course, it’d be best to do it in spring when young leaves are springing up. Here are six kinds of leaves. They are in the primary growth state which we usually do not take much notice. 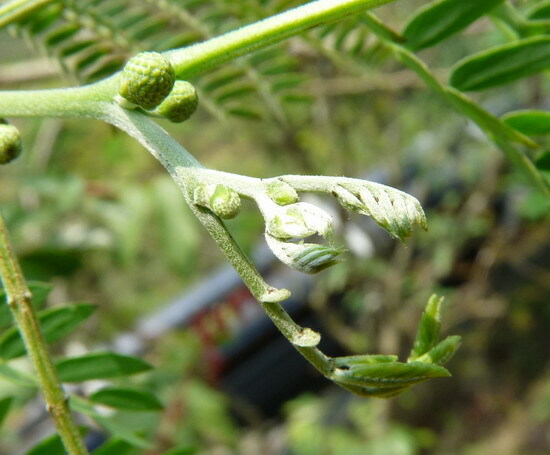 If you look carefully at the bud positions, you can tell if it is a simple leaf or a compound leaf. 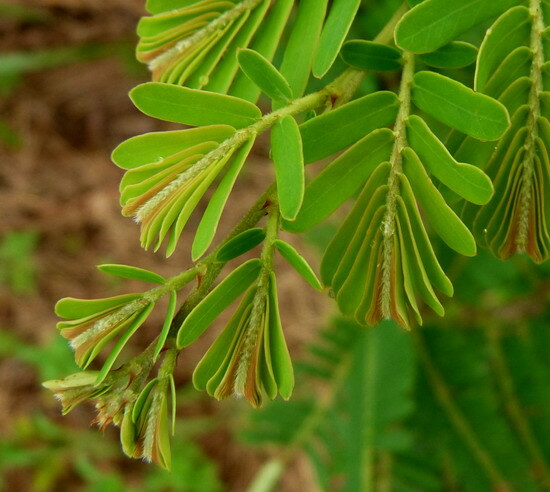 Leaves of Myrobalan (Phyllanthus emblica) are of pinna arrangement, but actually they are alternate simple leaves. Don’t go wrong!